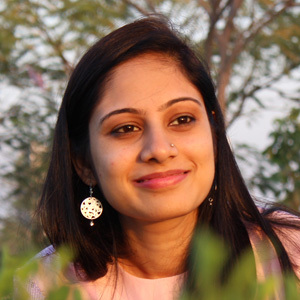 Earlier I made quick and easy recipe of Peanut – Coconut Dessert Bar with just 3 – ingredients. 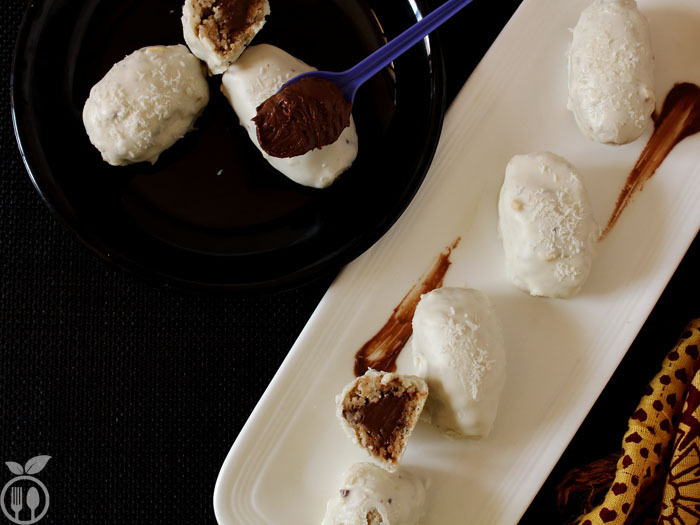 And also kids friendly, Oreo balls again just with 3 – ingredients. Who like the coconut and white chocolate combination? Who like peanut and coconut combination? Wait, there is something in middle!!! That is again chocolate, yeah, milk chocolate! But once I tried those Raffaello Coconut Balls, I am also a big fan now. I told him that, it worth buying only this chocolates. Since, that I found coconut and white chocolate combo so interesting that, I want to play with it and wanna make some fusion chocolate recipe from it. This is really interesting recipe which contains some milk chocolate surprise form inside when you eat it. 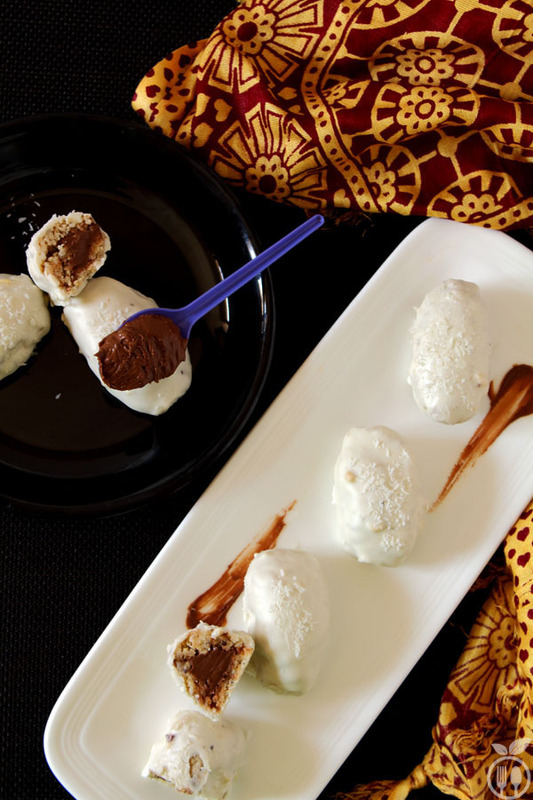 To make white chocolate truffles, just add condensed milk only enough to create dough like texture. Do not over use condensed milk. You can stuff dark chocolate piece at center. 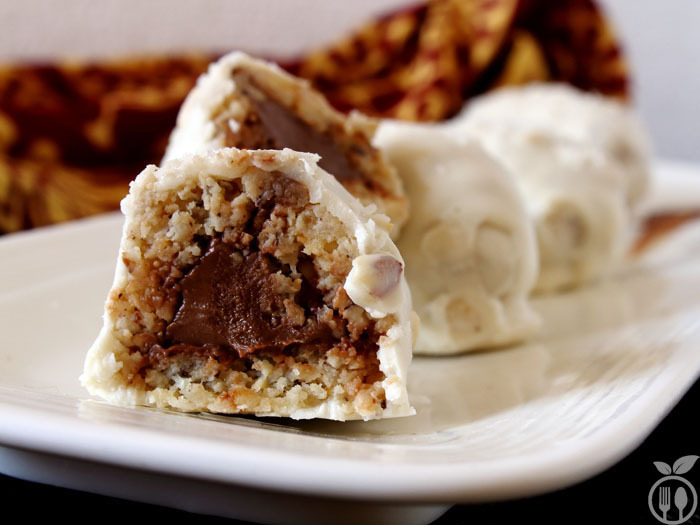 White Chocolate Truffles stuffed with Peanut & Coconut - Chocolate mixed Peanut and coconut bars covered with white chocolate. Heat the skillet, add coconut and roughly crushed peanuts. Add condensed milk and mix till all mixture coming together. Cook for just 2 minutes. Now once it cools down, make balls form it. You can make 8-10 balls from this amount of mixture. Now, put them into fridge for 10 minutes. Meanwhile, in double boiler, heat the white chocolate and let it melt. 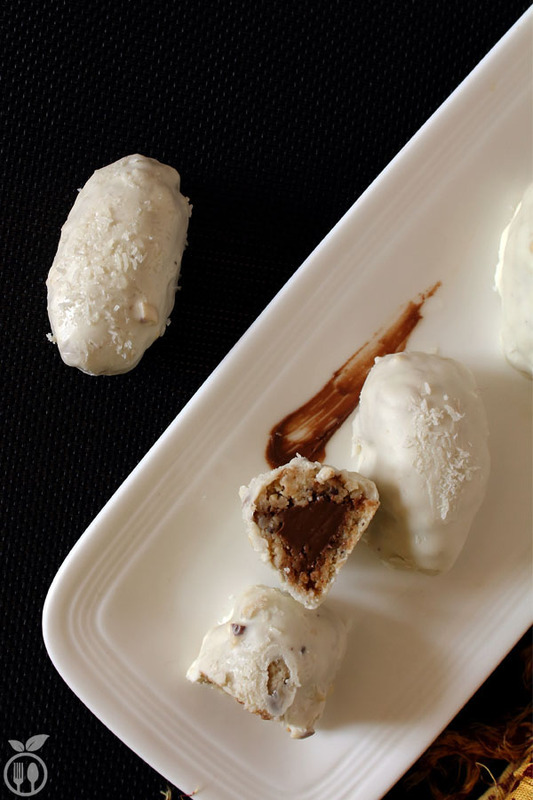 Once it melted, take out the truffles from fridge and cover it with melted white chocolate. Let them cool and enjoy your loved one. 1) For a centre stuffing, you can use dark chocolate also. stuffing and covered with white chocolate also tastes good.